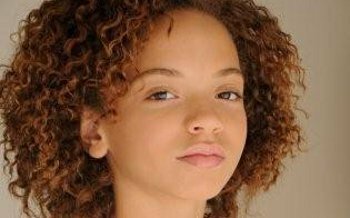 Twelve-year-old actress Erica Gluck is starring in the new TV movie Trinity Goodheart and is also planning to pursue her passion for music, but you may already know her from her role as Brit Brat on the CW’s show The Game. Find out more in her Kidzworld Q&A! Kidzworld: When did you first know you wanted to be a performer? Erica Gluck: Ever since I could remember, I have had a passion to entertain. Around the age of four, I saw that this could be a career and chose to go for it! KW: What was it like getting the part in The Game? Erica: I had to audition with 300 other girls and when it came down to me it was one of the most exciting days of my life. My family and I had to meet with the producers and they asked us a bunch of questions then let us leave. At this point we still didn’t know if I had the part. We got the call while we were driving home from the final audition and my mom and I were screaming in the car. It was amazing. KW: What did you like most about shooting The Game? Erica: The cast and the crew. After three seasons, they were really like family. We were always having fun on set, yet everybody was very professional. It was a great learning experience. Plus being the only kid on set, I was treated very well! KW: Can you tell us a bit about your latest TV movie Trinity Goodheart? Erica: It’s about a twelve year old girl who tries to reunite her family against all odds.What did you like about the story? When I first read the script for Trinity Goodheart, I fell in love with the characters. It’s a very uplifting story. It shows how despite the drama that sometimes exists in families, love is the most important thing. KW: Which character that you’ve played do you feel you are the most similar to? Erica: Trinity for sure. She doesn’t like to have limitations put on her. And she has a strong belief in herself. KW: Which actors do you most look up to? Erica: Natalie Portman and Dakota Fanning. Erica: I speak Japanese and I am a chocoholic! KW: We hear you’re also passionate about music, what kind of music do you want to make? Erica: A combination of pop, R&B and Hip Hop. KW: What are some of your hobbies? Erica: I love to play football, I also love swimming and eating! KW: Do you have any projects coming up? Erica: Right now, I am focused on my music. Who is your favorite teen actress?